Ed: We welcome Russell to the Association's Committee this year; he is acting as Assistant Treasurer, working with Treasurer Jeff Chambers. I became an Association member after completing my walk from John o’ Groats to Land’s End in the summer of 2013. For a long time, I’d wanted to follow in the footsteps (literally!) of Sir Ian Botham and the many others who had walked the length of Britain, but never expected to have the opportunity. Then, after working for more than thirty years in the energy industry in a variety of senior finance roles, early retirement unexpectedly presented me with my opening to complete the legendary journey, so I grasped it with both hands and both feet. I spent several months planning routes and booking accommodation, before setting off from John o’ Groats on a warm, sunny June day. After a few difficult days in which I was troubled by a badly blistered toe, a roadside fall, excessive baggage and a touch of loneliness, I recovered to face the unexpected challenge of an extended heatwave from Lancashire as far as Somerset, before finally reaching Land’s End on Day 57. Undertaking the walk also provided the chance to raise funds for charity, so I elected to support Cancer Research UK, a charity I’d run several marathons for during the last century. 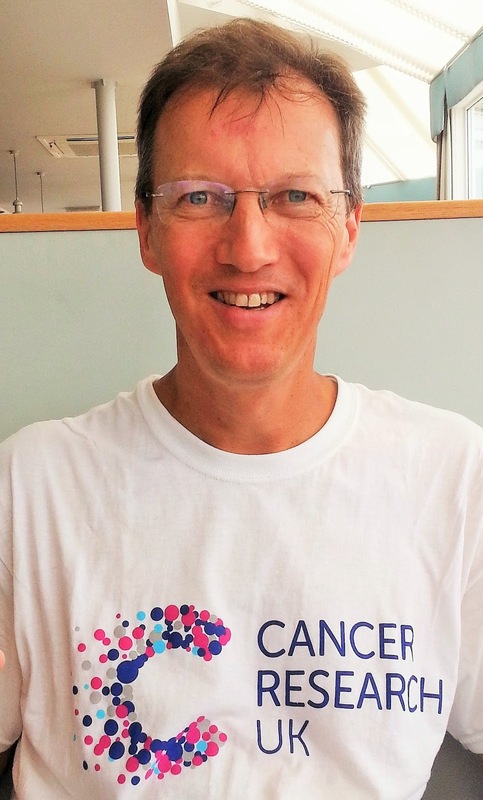 By the time I’d completed the walk from end to end, I was delighted to have collected donations of nearly £18,000 from my generous supporters. Since completing the walk, I have published a book about my adventures on the road. This was not a pre-planned follow-up to the walk, but something which I was talked into by friends and colleagues who had read my daily blogs, which I had written to enable supporters to track my progress during my epic journey. As a consequence, much of the year following completion of my JOGLE walk was spent writing, and finding a publisher. After all the editing, proofreading, designing a book cover and developing a website, , finally, Footsteps in Summer was born in October 2014. All royalties from sales of the book go to Cancer Research UK. My next role was to market and sell the book. To maximise the charity proceeds, I decided to sell as many books as possible directly, either personally or through my publisher’s website. Having exhausted sales to family, friends and colleagues, I now spend a few days each month giving illustrated talks to a variety of clubs, including Rotary and Women’s Institute. Most provide a charity donation for speaking, but also enable me to sell a few copies of the book. To date, sales have raised a further £4,000 for Cancer Research UK. I live near Windsor with my wife, Carole, and our two teenage children, Daniel and Hannah. We are surrounded by countryside, with numerous footpaths along the River Thames and within Windsor Great Park, so there are plenty of opportunities for me to go walking and cycling. When I’m not writing, fundraising, walking or cycling, I enjoy watching football and cricket, dabbling in genealogy, and undertaking DIY projects. In 2007, Brian Dawson, Don Dyer and Peter Hume-Spry presented a new Association Cup in memory of Chase Korte, a young American actor who walked from John o' Groats to Land's End. 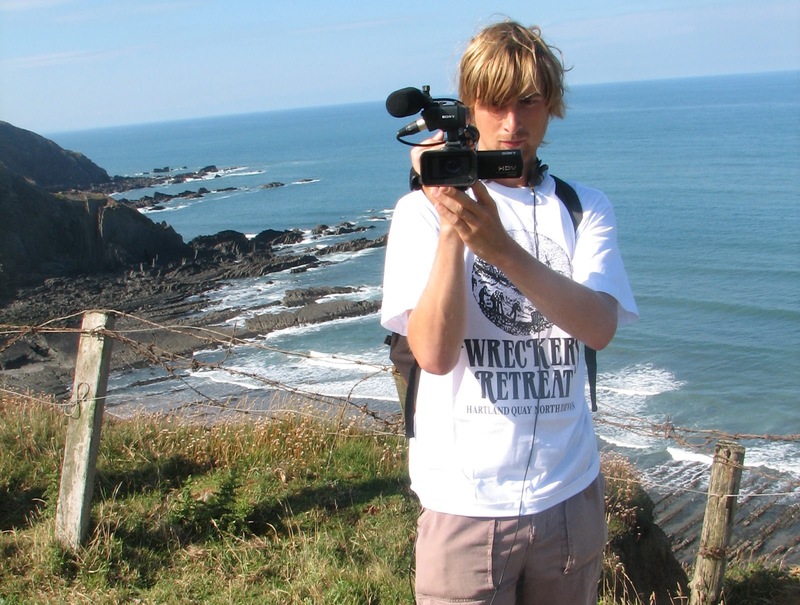 Chase's trip was the project of Tara Golden, a film-maker, traveller and photographer from the American south-west. 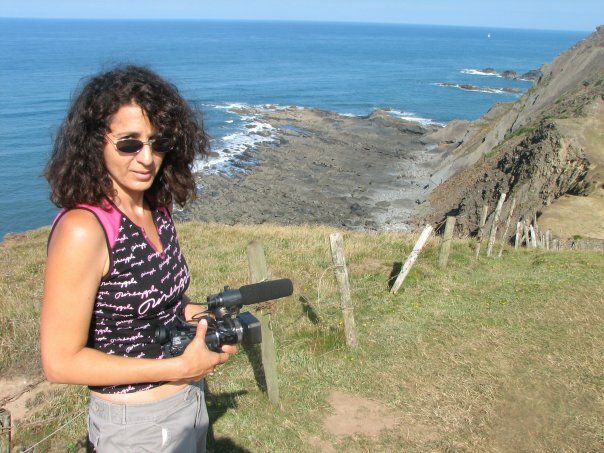 She graduated in 2006 from The Zaki Gordon Institute for Independent Filmmaking in Sedona, Arizona, and has since been filming and producing short internet marketing videos and documentaries. Her film work can be watched on YouTube, and her photography is shown here. Chase and Tara began walking from John o' Groats on 5th June 2006. 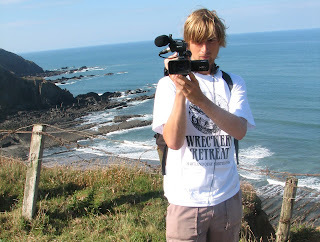 Tara filmed and supported Chase along the way, and despite many difficulties with the planned film, he finished his walk on 13th August. Six months later, Tara met up with Chase in Bullhead City, Arizona, to discuss editing and finishing the film. On his drive home, the car was hit by a drunk driver; Chase was killed. After this tragic accident, it took a hiatus of 8 years for Tara to complete the film, now available in 7 segments on YouTube. “I was inspired and touched by a woman known as Peace Pilgrim who walked for peace for 28 years throughout the U.S. Travelling with only the clothes on her back, she fasted unless offered food, and slept by the side of the road unless offered shelter. 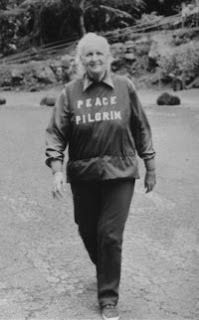 Her tireless messages about the way to peace reached audiences large and small. Intrigued by the idea of making a unique film, I resolved to do a 1100 mile Peace Walk across the whole of Scotland and England. My vision was to create a hybrid film, one where a fictional character would interact with real people along the way. I was moved to create the role of “Ray”, a Jesus-like figure whose brother “Brian” is killed in Iraq, and who embarks on a search for peace and healing. He was the saviour I needed in this crazy world. 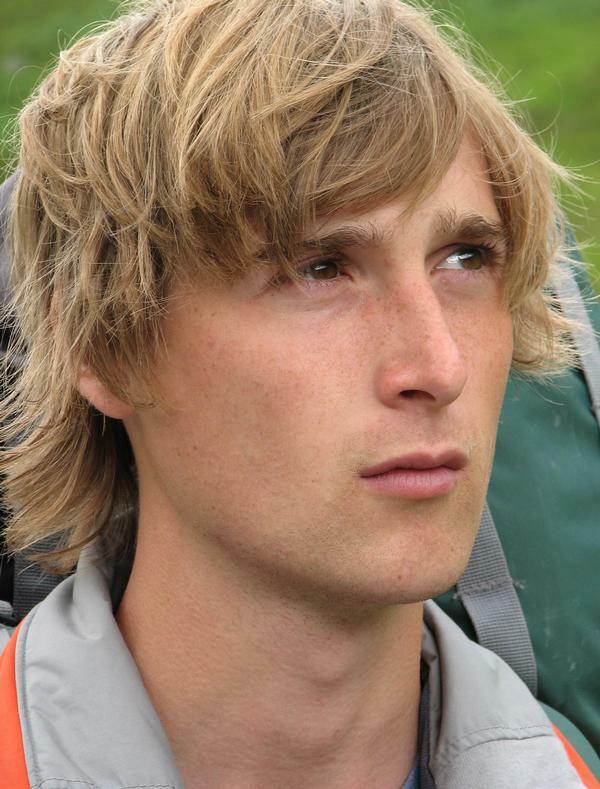 "Chase Korte stood out from the hundreds of actors who answered my Los Angeles casting notice. After making the 8-hour drive from California to Arizona, he persuaded me in an all-day audition, to take a chance on him. We did a shake-down hike to Havasupai, a remote part of the Grand Canyon, and discovered we had a shared passion for creativity, expression, and world change. "On a scouting trip to Scotland, I met Mike Herd, a talented cinematographer who lived in Tain, the town where Glenmorangie whiskey is brewed. Fun-loving production assistant Danny Weiss showed up at the last minute. I crammed his suitcases full of production gear, bought his ticket, and we were off. "Our first scene: Inverness airport, Ray's arrival. Maybe I could pull this thing off. 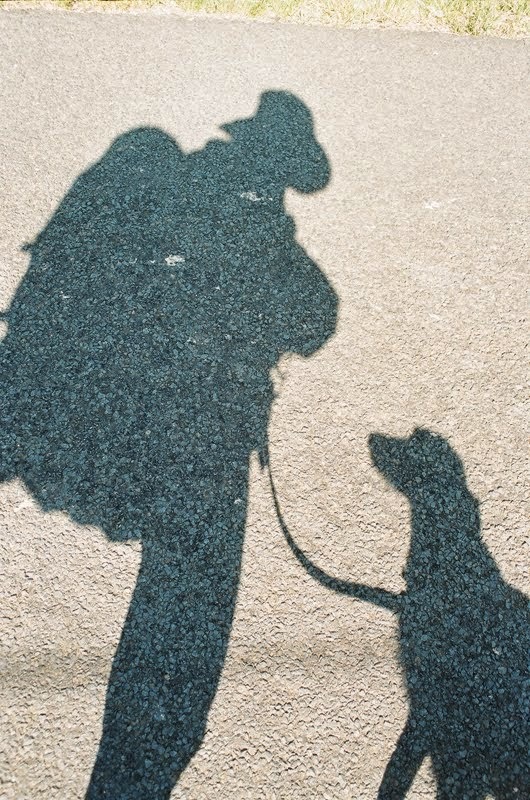 I had Ray travel north by bus to start hiking at John o' Groats. I did try to get official permission to shoot, but it wasn't happening, so on the advice of a sympathetic bus employee, we jumped on at the last moment, commandeered the back seat, and guerrilla-filmed the shots. "When we got to John o' Groats the enormity of what I had committed to hit me as I saw the hours we needed to set up shots, hike 10 hours a day, find colourful characters, and food and accommodation. I was in search of the most interesting people in every town, and would cast them on the spot. "I planned to hike along with Chase every step, shooting with my smaller camera, capturing the people and experiences we would encounter. But on the very first day of the hike, about 18 miles down the road, I hurt my ankle. Soon I was limping along. I was facing a mutiny by my crew unless Chase Korte I stopped hiking, and very reluctantly, I agreed. "Part of my job was convincing hotel managers to donate rooms. We needed places to stay, and I could not fail at this. 'Most every day we woke up unsure of where we'd lay our heads that night. I had been upfront about our iffy housing situation: possibly, we might be sleeping in fields at times. "Our problems started about 3 days into the hike. Mike and I clashed continuously about the direction of the film. My whole idea of blending documentary subjects into the film depended on being able to create a safe and supportive atmosphere quickly, and with the climate between us, it was nearly impossible to do. After reassessing their goals, Chase and Tara decided to continue with the journey as a Peace Walk for its own sake, and they would film it as a documentary. The US-led war in Iraq (2003-2011) was then ongoing, and many people they encountered had something to say about the conflict. In addition to filming, Chase and Tara kept what they called the Peace Walker Diary: every day they wrote down their thoughts about the journey. There's a moving section in Part 6 when through parallel cuts, Chase and Tara work through and talk about the issues of selfishness vs generosity or conflict vs peace, and come to a place of real generosity towards each other. In the end, the film is more about a search for personal peace as a step towards the bigger issue of world peace. Chase: ...You know it is pretty crazy, to try to make a film and a hike at the same time. I don't think there's a director in the history of cinema who's ever tried to do this. Tara: You think this hike has changed your life? Chase: I think I'm just fundamentally a little stronger, as a person. In May 2014 Tara, released a short film about a cross-continental walk from California to Washington DC, raising awareness about climate change. Faces of The Marchers - The Great March for Climate Action, shows some of the participants as they walked through Taos New Mexico. Their campaign is hosted here. Tara's decision to release Peace Walker after all these years had to do with this group of people, who reminded her of her own passion and hope to inspire people. The Chase Korte Memorial Cup is awarded to the Member who walks end to end in either direction, supported or unsupported, and has shown fortitude and determination to overcome setbacks. Preference is given to young, non-UK residents.